Can I get a witness?! Well, yes. Cycling accessory manufacturer Cat Eye has come up with a handlebar mountable video and still camera, dubbed the "Inou", that can be used to record and track your ride. While other manufacturers have created similar devices there are a couple of things I really like about this one. First, it can take both video and still photos automatically at intervals that you can choose. Secondly, it has a GPS tracking device built in and records your location throughout your ride. You can view your route after your ride by logging onto the integrated computer application Cat Eye has created for the device. 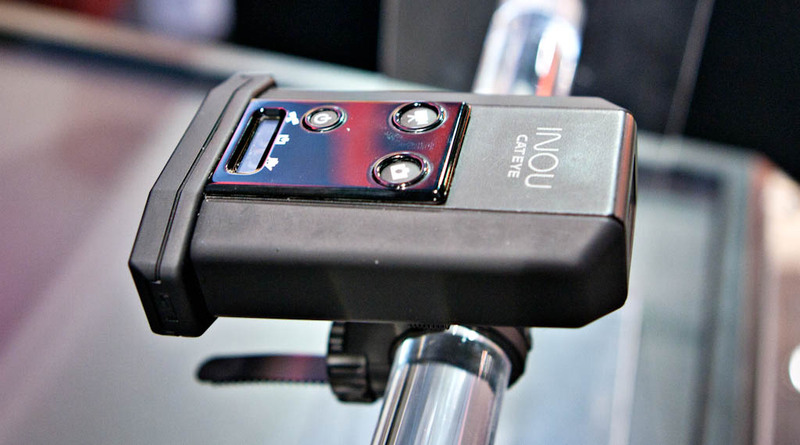 Thirdly, the Inou detaches from the included handlebar mount quickly and easily, just like a typical headlight. This feature is a must for urban bicyclists who would have to take the device with them after locking up. Finally, the Inou is pretty small and non-obtrusive, again making it practical to use daily in the urban setting. One of the biggest challenges in representing bicyclists in litigation against motorists is finding a witness. The motorist and the bicyclist rarely seem to agree on how a crash occurred. Since the victim has the burden of proof in personal injury litigation, if a witness cannot be found to support the bicyclist's version of events the case may be a lost cause. A handlebar mounted camera could, in many circumstances, tip the scales in the bicyclist's favor by revealing exactly what happened. Dooring incidents and intersection crashes could be documented by a front facing camera. Other "action cameras" I've seen are good, but frankly impractical for daily city use. They've tended to be too big, too bulky and too difficult to take with you. Cat Eye may have come up with a viable option that could help the city cyclist protect his or her rights in the event of an accident.